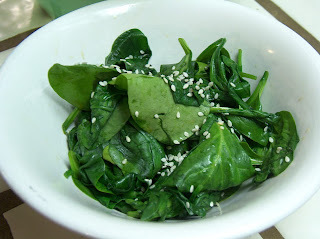 Do not like cooked spinach. Don't care how good it is for me. 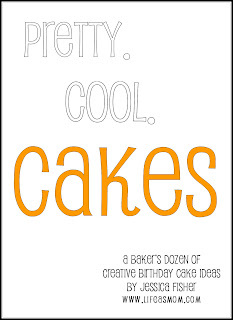 FishMama has written an ebook that's filled with inspiration for a baker's dozen of creative birthday cakes. She starts with simple ingredients -- boxed cake mix, canned frosting, novelty candies, little "flags" made of toothpicks with illustrations taped to them -- and ends up with some super fun creations. And also, very clear, step-by-step instructions for everything from surfer dude cake (you'll be the coolest mom around with the "sand castle" on your beach's shore) to a "What state are you in?" cake (a theme you can customize for kids off in college, travelers, or sports fans). So go check it out -- now! Because while this book normally goes for $5.97, for the rest of today, February 27, you can get Pretty. Cool. Cakes and another of FishMama's ebooks, FishMama's Guide to Cooking with Children, for $2. This is perhaps the best idea I have heard in 2009. And the three suggestions thus far for using up extra sweetened condensed milk: eat it from the can with a spoon; smear it on bread; and use it to make chai tea. So there you go. Plenty of food inspiration for your morning. Who knew macaroons were so simple to make? I guess it's been years since I've made them. They go together in just minutes (if you don't count the 35 to 45 minutes of baking time). And even the littlest of kids can help, squishing the first three ingredients together in the bowl with their (clean) hands. Mix first three ingredients in medium bowl. 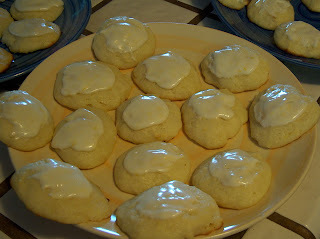 Stir in sweetened condensed milk and vanilla and mix well. Drop by teaspoonfuls onto greased (or parchment paper-covered) cookie sheets. (I actually fit all mine on just one sheet, since these don't spread much.) Bake at 250 degrees until golden brown, about 35 to 45 minutes. (Mine took 45.) Makes 24. Ready for tomorrow's bake sale, anyone? 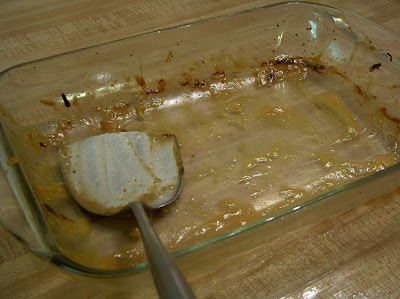 Now the real question: What do you do with the bit of sweetened condensed milk that's left over? 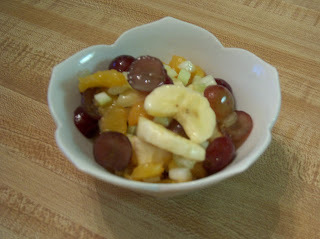 Here's a fruity, warm compote-ish dish that tastes just right this chilly time of year. You can serve it as a side dish or dessert, whichever you prefer. Mix tangerine rind with butter and brown sugar. Set aside. 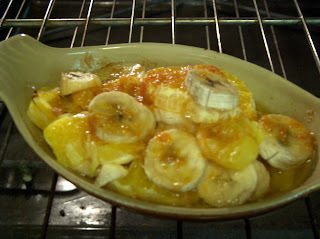 Into three individual baking dishes, divide up tangerine sections (you can leave small sections as is; cut larger ones in half, if desired) and banana slices. Top with dabs of flavored butter. Heat at 400 degrees for 10 minutes. Now my question to you: Do you have any quick and tasty fruit ideas to share? Note: Go check out 3 Sides of Crazy's Simply Delicious Sunday Recipes for more culinary inspiration. You know how sometimes, when you make a batch of cookies they're so good you end up eating almost all of them yourself? 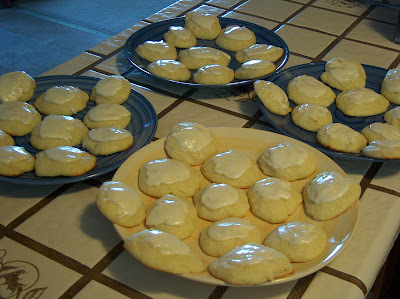 That's what happened a couple days ago when I made these absolutely delicious Lemon Ricotta Cookies from LL at As for Me and My House, We Will Serve the Lord. The soft, cake-like base. The tangy lemon frosting. What can I say; I lost my head. The only suggestion I'd add (other than to have someone whisk the cookies out of your sight as soon as you've eaten three or four) is you might want to use a few more lemons than the recipe calls for. 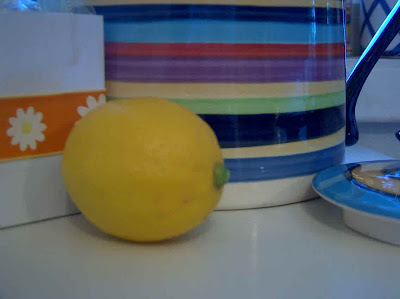 For the cookie, I used the juice and zest of two lemons, not one (my lemons are pretty small); and for the frosting, I used the juice of three lemons and the zest of two. Now go, make these, and try to leave a few for someone else. Sheesh, some people are such gluttons. Note: Check out more great ideas at Works-for-Me-Wednesday. 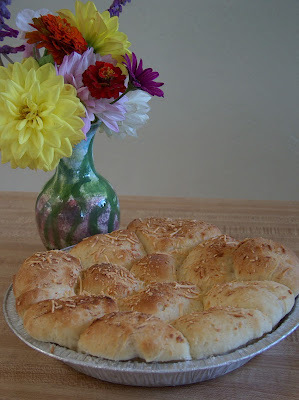 Here's a super simple appetizer recipe that goes together in minutes. 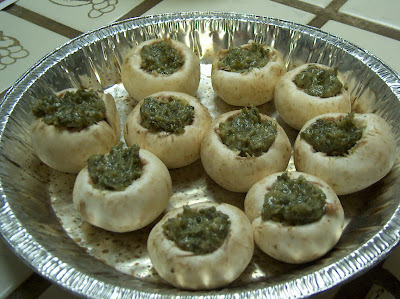 You take 10 or 12 good-sized mushrooms. Remove the stems and set aside for another use. Fill the centers with a spoonful of store-bought pesto sauce with basil (found in the refrigerated section of your grocery store, by the cheeses and lunch meats). Place in a pie tin and broil for about two minutes, until hot. Note: Check out Make Something Monday for more creative ideas. If you're like me, you want to do something special to celebrate each and every schmaltzy holiday that comes along. But you don't have time to make a 12-foot-high papier-mache sculpture of, say, Cupid. So here you go: a simple idea that will satisfy your craving to make something festive that will take less time than it takes to wash your hair. And seeing as you might not even have time to wash your hair, if you're taking midterms or raising babies or shuttling kids to play practice, this recipe ought to do the trick. Melt 4 T. butter with one clove crushed garlic over medium heat for a couple of minutes. Using your trusty heart-shaped cookie cutter (you DO have a trusty heart-shaped cookie cutter, yes?) 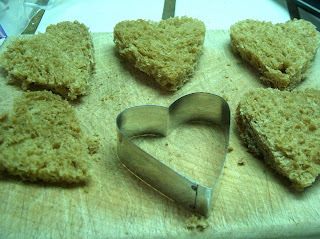 cut out some cute little bread hearts. Place cute little hearts in garlic butter, and turn to coat both sides. Cute little hearts now go onto mangy old cookie sheet, where they will toast at 375 degrees. These little beauties cooked for 8 minutes on one side, then got flipped and toasted three minutes more. Next time, I will try maybe 5 and 2 minutes. A little less crispy would be good. Do you have any 5-minute Valentine's Day ideas you'll be trying at your house? Note: Check out lots more ideas at Works-for-Me-Wednesday, here. 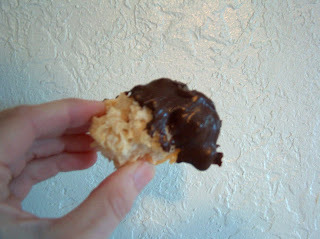 This recipe came from my friend Lindsey, who got it from Helen. And I don't know where Helen got it from. But boy is it good. 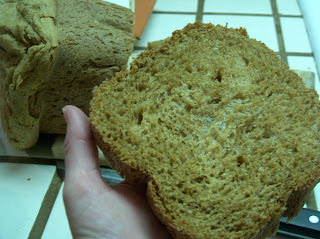 I used the bread machine so it was a snap. If anyone wants non-bread machine directions, email me and I'll send them on. Otherwise, just pop in the ingredients, push start, and let the magic begin. NOTE: For more homemaking inspiration, check out Homemaker Monday, where a lovely cake with fresh strawberry frosting awaits, along with all kinds of other recipes and homemaking ideas. Trying to make some soup over here, and not having a whole lot of luck. The roasted vegetable variety I made recently had great flavor, but was too watery. The potato-cheese recipe, from one of my favorite food writers, tasted terrific, but was so thick that after about five slurps I wondered if anyone had ever actually died of soup choking. After a whole bowlful, I figured someone could throw me over the side of a boat and I'd make a fine anchor. The recipe I tried this afternoon, for lemon soup, had a lovely lemony flavor that I really liked. But it, too, had problems with consistency. The directions said to stir over low heat until thickened. Maybe it's all in your definition of "thick" but mine never seemed to progress much past a slightly heavy broth stage. Here is the recipe, for those of us with excess lemons who are not too picky about our soup's thickness. I suppose you could always stir a tablespoon or so of cornstarch into a tablespoon of water, slurry it around, and add it to the broth at the start. And if anyone has any soup advice, I'd love to hear it. I'm about ready to head back to Campbell's. In medium saucepan, bring broth to boiling. In medium bowl, whisk together eggs with a wire whisk until light. Add lemon juice. Add half of hot broth, stirring well. Return lemon/egg broth to pan and (here's the part that drives me crazy) stir over low heat until thickened. WHEN?!? Just WHEN will that be?! Perhaps sometime in October? OK, I've stopped now. I'm stopping. 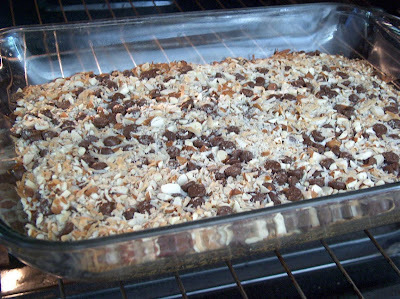 These exceedingly yummy bar cookies start with a graham cracker crust, followed by a layer of orange-flavored cream cheese, then are topped with a mixture of nuts, chocolate chips, and coconut. I clipped the recipe from a magazine years ago, and made a note that they were from a book called Cookies by Natalie Haughton. I've never actually seen the book, but it looks like Amazon.com has. Does anyone out there have this book? It sounds like a good one. I can certainly vouch for this recipe. Preheat oven to 350 degrees. In medium bowl, mix graham cracker crumbs, 2 T. sugar, and melted butter. Press evenly into 9 x 13" pan. Bake 7 to 8 minutes. In medium bowl, place cream cheese, 1/3 c. sugar, egg, vanilla, and orange peel. Use mixer to blend. Spread evenly over baked crust. 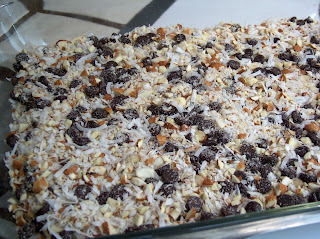 In small bowl, mix nuts, chocolate chips, and coconut. Sprinkle over top, pressing in lightly. Bake 25 to 30 minutes, until golden brown. NOTE: In honor of upcoming Valentine's Day, Overwhelmed with Joy is hosting Favorite Ingredients Friday (Chocolate Edition). She's posted a mini chocolate lava cake that looks to die for. What, you still have lemons, you say? Here's a tasty way to use a few. Combine first three ingredients in a measuring cup and stir well. Slice fruit and pour dressing over. Gently mix with rubber spatula so all fruit is coated. Refrigerate until ready to eat. Serves 4. Quite delicious with baked potatoes topped with leftover chili, grated cheese, and sour cream; and green salad. 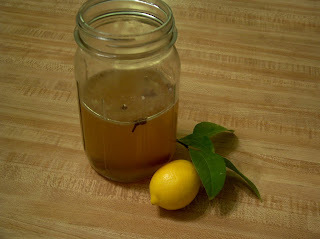 For those of us whose lemon trees are going berserk, here's a nice hot spiced drink that will use up a few of them. I cut this recipe in half, making only two servings instead of four. Put all ingredients in quart jar and stir. Microwave on high for 4 minutes. (Since I made half the recipe, I nuked it for 2 minutes.) Let stand for 15 minutes, take out spices, then reheat and drink. (Being the impatient-to-try-it-now person that I am, I performed a small experiment and drank some of the this immediately, and some after the spices steeped for 15 minutes as directed. Alas, it was indeed better after the wait.) Serves 4. 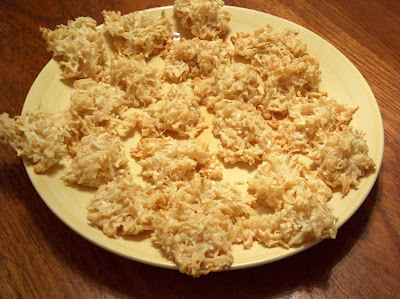 This recipe came from an old issue of Cooking Light magazine, which reports one serving is about 110 calories. Want to see how? 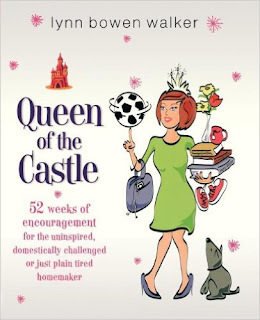 Check out my guest post today at Life as Mom: Seven Ways to Trick Yourself into Thinking Housework is Fun. OK, maybe "fun" is an exaggeration.
. . . other than giant popcorn balls made into hearts, that is.